These spacious 44 square metres open plan studio suites offer generous Super King beds which can be split into 2 single beds. Whether travelling as a couple or with a young family, guest comfort is assured whatever the season with radiant heating and heated towel rails. 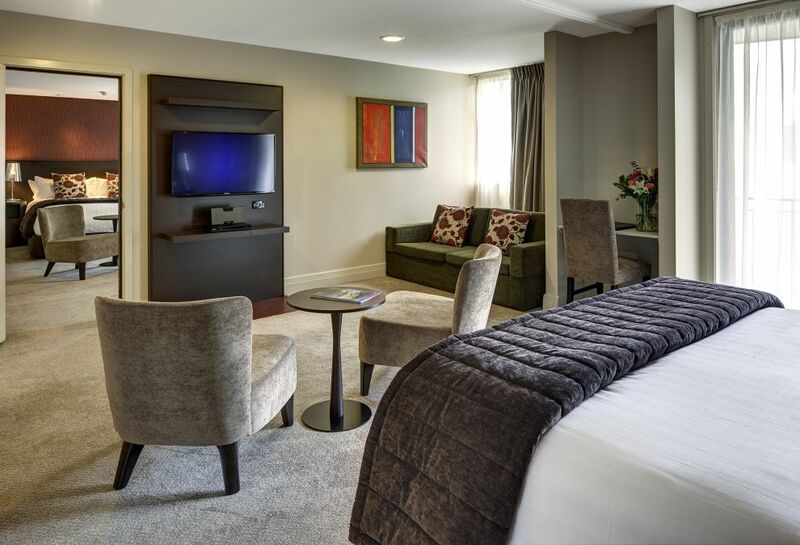 These spacious 44 square metres open plan studio suites offer generous Hollywood Super King beds which can be split into 2 single beds. Whether travelling as a couple or with a young family, guest comfort is assured whatever the season with radiant heating and heated towel rails. 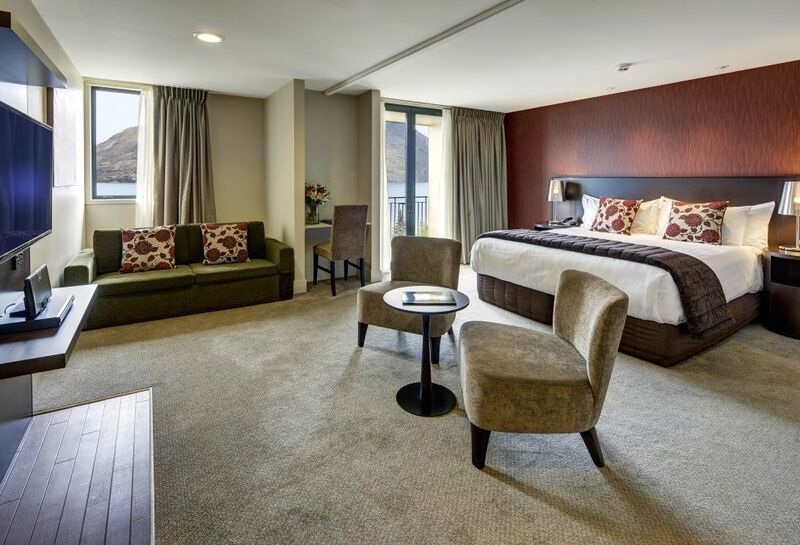 To truly appreciate the wonders of New Zealand's alpine treasure, Heritage Queenstown can offer you family holiday accommodation in one of our spacious Two Bedroom Suites. 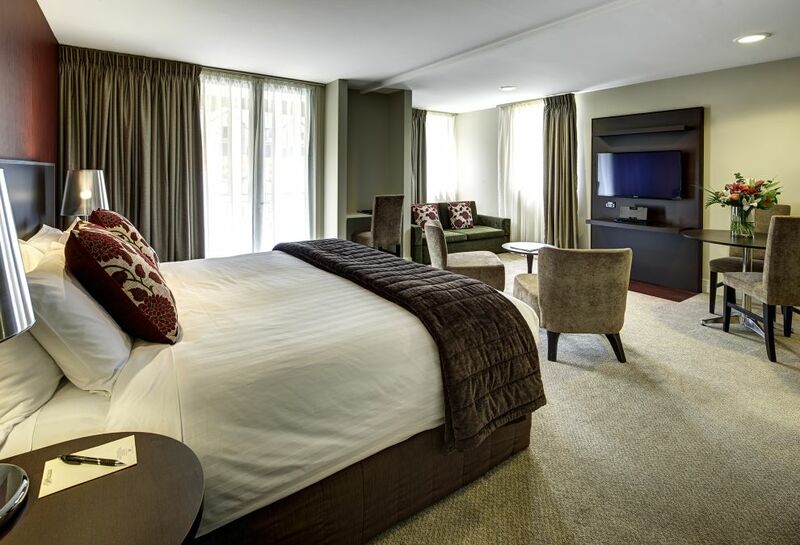 Savour stunning lake views with your family or group in one of our spacious 2 Bedroom Suites. The 88 square metre room features open plan living and dining plus entertainment unit for relaxing after a day sightseeing or on the famous ski fields.